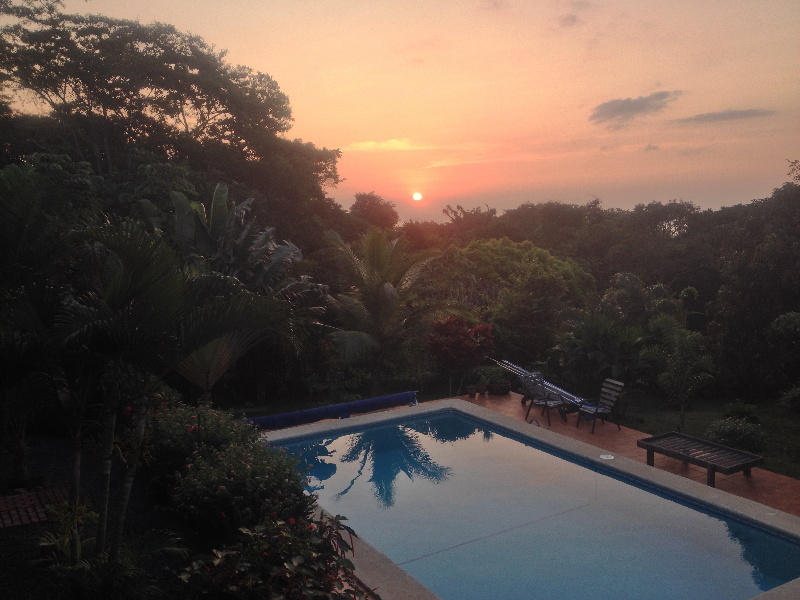 House-sitting is a fabulous way to travel the world, get free accommodation, live like a local, enjoy the comforts of home, and did I mention – get free accommodation? But just because something doesn’t have a price tag doesn’t mean it doesn’t have a cost. Not all house-sitting jobs are created equally, nor are they free from problems. I’ve had pet parrots fly away, and pet dogs end up in hospital. I’ve dealt with house-sitting responsibilities whilst seriously ill and in need of a hospital myself. I’ve found myself doing “easy” house-sits that involved hours of daily labour, and I’ve had major conflicts with home owners. Some house-sitting challenges can be avoided, while others are just par for the course. Has this deterred me from house-sitting? Generally speaking, no. And if you ask the professional house-sitting community, they’ll agree; house-sitting may have its share of complications, but for most house-sitters, the pros far outweigh the cons – as long as you know what you’re in for, and can take the heat when the kitchen gets hot. This article will show you the basics of house-sitting, how to stand out and get jobs, and – most importantly – through the advice and experience of a panel of professional house-sitters, we’ll show you how to avoid potential house-sitting problems and pitfalls. The concept is simple: A homeowner plans to vacate their property (for anything from a few days to a few months to even longer). They get a house-sitter to come and stay in their home, water the plants, check the mail, take care of the pets, and address any other household tasks that need to be done in their absence. It’s a win-win for everybody: the homeowner rests assured that there is both a security presence in their home and somebody around to take care of things, and the house-sitter gets to enjoy the comforts of home (somebody else’s home that is) in a different part of the world – for free. There are a variety of house-sitting websites to choose from that connect homeowners in need with house-sitters in search. Most are free to peruse listings, and charge an annual membership fee to in order connect securely with homeowners. If you’re inclined to balk at the annual fee, just consider that one night of free accommodation with house-sitting more than pays for your membership. 1) Create a solid profile on the house-sitting website(s) of your choice. This should include pictures of you, information about who you are and why you’re the best house-sitter alive, references, and links to any online profiles you have that lend you some credibility. 2) Sign up for e-mail alerts. Most house-sitting websites send email alerts when new positions are posted in locations where you’re interested in house-sitting. 3) Respond immediately. Homeowners are often overwhelmed with house-sitting applications when they post their listing, and all but the first 10 or so can get discarded. So as soon as a posting goes live, you need to respond to it. 4) Respond professionally. The homeowner is less interested in why you want to stay at their place, than they are at why you are the best candidate to stay at their place. When introducing yourself to the homeowner, read their profile and requirements carefully and tell them how you can help them (not the other way around). If you want to know more about house-sitting and how to become part of the “inner circle” of house-sitters like some of the experts profiled below, you can learn everything you need to know and get the support you need at the House Sitting Academy. To get started with their free bootcamp, click here. Although house-sitting is an incredible way to discover a new place and get free accommodation, it’s not without challenges, and in some cases hard work. Below are some house-sitting cautionary tales, learned by experienced house-sitters. I had a close call once; I was chatting with a homeowner on Skype about a prospective house-sitting gig. When I asked to see the place, she was ambivalent and didn’t give me a tour on Skype or send me pictures. When I ended up house-sitting for her neighbour instead, I understood why: her place was a mess! Thus they’re wary of prospective homeowner comments like “we’ve had a bit of construction work done that won’t be finished by the time you arrive” or “we are a casual, laid-back family”. They also insist on a Skype tour of the house during the interview process. You can read more about their experience in this post on McNomads. Because the homeowner was an acquaintance of Jill’s, she didn’t bother following her usual protocol of requesting photos and asking her standard questions. But as Jill discovered, regardless of whether you housesit for someone you know or not, ask the relevant questions and make your expectations known to avoid an unpleasant or awkward experience. Josh and Erin of TravelWithBender have been travelling the world for the last three years, and have completed house-sits in London, Belgium, Ireland, Australia, and Malaysia. When they were offered a one-month assignment in a beautiful old house in Belgium, they thought they’d struck the jackpot. Little did they know that among the 17 animals they had to care for (17! ), most of them lived indoors and weren’t house-trained. You can learn from their experience and get some good house-sitting tips in their post: House-sitting 101: What to Expect. Thank goodness before I accepted a house-sit in England, the homeowners warned me that with three big dogs it was a position best suited to more than one house-sitter. Thus I invited my mum to house-sit with me and we thoroughly enjoyed some quality time together…when we weren’t working hard keeping up the place. Between the two of us, we were busy up to four hours each day, taking care of the dogs, cleaning the house, and tending to the extensive gardens. To this day I’m not sure how the homeowners manage this daily upkeep with office jobs, kids, and social commitments. Not all homeowners will be as upfront about the time commitments required of a potential house-sitting job. This is why it’s up to you to ask lots of questions and determine if you’re prepared to take on the commitment. Remember, the homeowner is getting a great deal with house-sitters; the cost savings alone of not kennelling pets is huge, not to mention other benefits like you being an additional security presence and caring for the plants, etc. So if in the interview process it appears that the homeowners are asking more of you than you’re prepared to give, don’t be afraid to turn down the gig. Michelle of UpSticksandGo and her family of five from Australia have travelled the world for 18 months, house-sitting all along the way. In their first two consecutive house-sits, pets died in their care. In both cases, the homeowners were very understanding, as the pets were elderly/sickly to begin with. Although you never know what will happen to a pet while the homeowner is away, ask yourself what level of care you’re willing to administer. If the pet is ailing to begin with and requires a lot of care, it’s up to you if you want to take on the risk. I had a falling-out with some homeowners on their return when their neighbours informed them I had been leaving the property for hours at a time (I was exploring the area). Not only was I offended that they had their neighbours “spying” on me, but at no point was I made to understand that I was supposed to spend all day every day on the property (shy of obligatory errands). Matters were confused further when the property staff told me one thing about what I was “supposed” to be doing (they were trying to get me to do their jobs), and I didn’t have clarification from the homeowners. So while the homeowners were away I felt stuck in the middle of two conflicting stories, and when they returned I was told off anyway. I couldn’t win. Since then, during the interview process I get homeowners to be very clear about their expectations of me as a house-sitter. In some cases we’ll put it in writing in a house-sitting agreement (read on). A house-sitting agreement sets clear terms and expectations of both parties; something that can be particularly handy when unforeseen circumstances abound. Luckily in Dani’s case, the homeowners understood that she had travelled overseas for this position, and they gave her a place to stay for a few nights while she found a sublet, and they even helped her pay for the sublet. But not all homeowners will be as compassionate as Dani’s were. James and his girlfriend have house-sat throughout Europe looking after everything from cats and dogs to turtles and a farm of alpacas. James also runs House Sitting Guide – a website about all things house-sitting. “Our most frustrating experience was driving 35 hours straight (Scotland to the South of France) for a house-sit, only to be told by the homeowner ‘actually we’ve decided not to go away just yet. Can you come back in a week?’” They had to scramble to find accommodation for the interim week, and were none-too-thrilled that they had driven 35 hours straight when they could have taken their time had they known there would be a delay. In both cases clearer terms could have been set out with a house-sitting agreement. It’s a simple document that can be downloaded from many house-sitting sites (for example here, here, and here), which states the dates of the house-sit, the handover period, and responsibilities required of the house-sitter. It forces both parties to put their expectations in writing, which means fewer disappointments. In cases like Dani’s where overseas travel or expensive plane tickets are involved, Dani suggests that it might be worth buying refundable tickets so you can cancel your trip if the homeowner cancels the assignment. “Unforeseen things like the death of a family member, a pet, sickness or something else that requires the cancellation of a trip can always happen,” says Dani. And this applies to both the homeowner and the house-sitter. Thus, it’s best to have your bases covered with a house-sitting agreement. You’re almost there! Interviews are done, expectations are clear, and now you’re on the homeowner’s doorstep, ready to take over. Ideally you will arrive a couple of days in advance of the homeowner’s departure so they can show you the ropes and you’ll feel comfortable in their stead. Here are a few things to work out with the homeowner before they leave. Before I arrive, I send the homeowner a questionnaire that outlines everything I might need so I don’t have to bother them while they’re away. This includes phone numbers for all their repair people, emergency contacts, instructions for care of pets/plants/house, contingency plans, etc. Mariannig Ferrari founded the international house-sitting platform Nomador in 2014 after eight years of experience on the French house-sitting market. On Nomador, she provides a “home book” that acts as an instructional manual for the house-sitter; this also gives the homeowner peace of mind that their place is being cared for to their standards and instructions, and makes the house-sitter’s job much easier. For more of their tips, read their post, Before you Accept That House Sit. Betsy and her husband have been travelling with location independent careers since 2011, house-sitting along the way where they can. Never in their wildest imagination had they thought they’d come up against this: “On the first couple days of our dreamy house sit in a tropical paradise – Fiji’s Coral Coast – we had to defend the property from threatening bush fires. Fortunately all turned out fine, but talk about sobering up! It was a vivid realization that this lifestyle is not a lark. Homeowners entrust you with the things they value most – their home and beloved pets – and the responsibilities are real.” You can read more about their experience on their site Passing Thru. Although you can’t possibly plan for every contingency, if you’re house-sitting in a fire/flood/hurricane/etc prone area, get a written emergency plan from the homeowners so you know how to protect the house, and what in the house to save (if evacuation is required). Del and Lee have house-sitting experience on four continents. During a house-sit in Australia, Lee’s sister became very ill and died a few days later. They needed to fly back for the funeral on very short notice. Although they’d been given permission by the homeowners to board the dogs if they wanted to get away, there were problems. “The kennel asked us for the updated vaccination records to board them. I checked the folder the homeowners had given us with instructions and they weren’t there. I also checked their home office but again nothing. Since the owners had just moved, they had not yet found a vet in Queensland so there was no one local I could call. I also didn’t have the information on their old vet in Sydney. With the time difference in the UK (where the owners were), I couldn’t reach them in the time needed to make travel arrangements due to the long distance we had to travel.” Without being able to board the dogs, Del had to stay behind while Lee flew back home for the funeral. Although the homeowners were very appreciative of the commitment Del demonstrated in staying with the dogs, Del and Lee now insist on knowing where all pertinent records are, and they discuss with prospective homeowners what to do with the animals in case of an emergency. Michelle and her family (who had two pets die in their care, as discussed earlier) also had some challenges in France when the three horses they were caring for escaped – twice – in the middle of the night. They spent two sleepless nights searching for the horses, and many days repairing the fences as best they could to prevent future escapes. “The owners did warn us that one of the horses in particular was a bit of a jumper and had been known to escape from time to time (just not two nights in a row! ).” Even with a head’s up, Michelle and her family were a bit lost (and stressed!) in trying to corral the horses again. In Panama, I had a parrot escape, but the ending wasn’t as happy as Michelle’s. Although the bird lived on the terrace with the cage open and its wings weren’t clipped, I was assured that she never flew anywhere. Only after the bird had escaped was I informed that she occasionally liked to take flight but always returned to her cage within a few hours. The next day I saw her in the neighbour’s tree, but without any instructions as to how to rescue her, my attempts were futile, and that was the last I saw of her. You can learn more about their experience at Double-Barrelled Travel. Sometimes, stuff just happens. Pets with no history of running away run away, things break, natural disasters hit, and pets in perfect health keel over. This is part of the risk and responsibility of house-sitting; you are caring for somebody else’s home and pets as if they were your own, but sometimes matters are simply beyond your control. Most homeowners also know that “stuff happens” and in most cases are very understanding. In Switzerland, quite literally on my way back from dropping the homeowners off at the airport for their vacation, I scratched up the side of their car. I was mortified. I took pictures of the damage (which was thankfully just cosmetic), and sent an apologetic email to the homeowners, asking for the name of a repair shop where I could get it fixed. They were so kind and understanding, and knowing that the damage was just cosmetic, they told me not to worry about it. I still buffed and painted over the damage as best I could, and when the homeowners returned they were so gracious about it they said they didn’t even see the (obvious) damage! This was just a scratch; accidents are considerably more complicated. Ensure you have all the paperwork for the car and any advice/instructions from the homeowner about dealing with these matters in their country (where the process might be different from what you’re used to). Nothing could have been done to avoid this happening, so Dalene and Pete simply did everything they could to ensure the dog was comfortable, and they were in constant contact with the homeowners to keep them apprised. You can read more about their experience at Hecktic Travels: Losing a Pet. Hopefully these “house-sitting horror stories” haven’t deterred you from the idea! However it’s good to ask yourself if you’re the sort of person who is willing and able to take on the responsibility of somebody else’s home, pets, and cherished belongings and to care for them as your own. You might also want to ask yourself how you would react if something goes wrong; would it be too stressful for you, or could you take it in stride? All the house-sitters I interviewed here are adamant that their negative experiences haven’t deterred them from seeking out future house-sitting assignments. For them, the advantages far outweigh the disadvantages, and they continue to happily house-sit around the world. 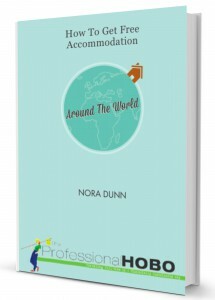 For more information on house-sitting and other ways to get free accommodation, check out How to Get Free Accommodation Around the World. Wow – an earthquake! Eek! Glad that your house-sit was successful overall, and that you’ve got more lined up. Enjoy! Glad you had a great house-sitting experience! Most of the time, everything goes just fine. But as evidenced here, it’s good to be ready! Great intro to house setting. Thank you. We are exploring the idea of housesit. Thoroughly enjoyed Nora’s article and comments. We have taken care of friends and family homes with and without pets, and now we would like to bring this experience at an all new level of housesitting in Perth, Australia. We have grandkids there which we would dearly love to spend sometime with over the month of December and January, 2016. We are debating whether to subscribe with an Aussie housesitting site or not? Would there be an advantage? If you know you want to focus your house-sitting search solely to Australia, then using a dedicated Australian house-sitting site would make sense. I don’t know of any dedicated Aussie sites, but House Carers has a huge presence and variety of opportunities in Australia – so that would be my first choice if I were you. I’m relatively new to housesitting, with four under my belt in 5 months and a long term one starting tomorrow and I have to say I love the variety of experience. 4 out of 5 were fantastic, great people, lovely pets, nice parts of the UK to stay, the fifth had a lot going for it (nature galore and looking after a horsefarm is pretty interesting) but the rats under the caravan and the fleas they had that covered my legs in bites…not so much. I think I’m in this for the long term. Hi Robert – that’s awesome! Are you starting to look at international house-sits as well, or are you sticking to the UK? I’m longing to house-sit again so I can go somewhere beautiful and remote to work on my book. My heart needs this desperately; I need some encouragement, however, as my last experience a few years ago ended in tragedy. My own darling husband died while we were doing a house sit on a big estate. We were only 36 and it was supposed to be an exciting bonding time for us after a tough year. It was the darkest night of my life. I learned a valuable lesson: ALWAYS have contingency plans not just for the pets and house, but for yourselves, too. Emergencies in an unfamiliar place will be 100 times worse if you don’t know how to contact the nearest ambulance. You should have that information from the home owners, as well as a few other numbers to call for help, like a reliable neighbour and the nearest doctor. They must be sure of those numbers. On our fateful night, my frantic search for an ambulance number took half an hour, only to find I’d called an ambulance that was an hour away. This should never, ever happen. I would also point out the seriousness of getting absolute transparency from homeowners with regards general safety of the area they live in. Also, do some research if you aren’t sure. People often feel invincible while experiencing the romance of a foreign country, but that isn’t realistic and you should choose your area wisely. I’m sure most are perfectly safe, as people live there, but don’t take that as a given. Two days ago I saw a house-sit for a remote rural home in my own country – a place one doesn’t read about in international news – and I was stunned: in spite of an appealing-sounding description by the owners, I know for a fact that it’s a high-risk area and it would be incredibly dangerous for a foreigner to be seen there. Not sure how sites could possibly manage this safety aspect? Thank you so much for sharing your story, and I’m so sorry that you experienced such a terrible tragedy whilst house-sitting. Your own cautionary tale is incredibly valuable, and I hope readers here take note. Also, a great point about researching the neighbourhood of your potential house-sits. I too, have found myself in some dodgy areas for various reasons, and it affected the degree to which I was able to explore confidently or securely. I am embarking on housesits through websites after previously only housesitting for friends. I had one experience years ago I wish to avoid with a clause in a written agreement. A friend put me in touch with friends of hers to do a housesit over a Christmas break in a country area – I owned land with a group there and it was a way to stay there without having to stay with others. Unfortunately the family didn’t disclose to me that there was a flea problem on the dog I was minding and when the dog came inside, the fleas took hold. After a couple of days I rang the friend who’s details they had left and asked the friend to come and get the dog, and that I wasn’t prepared to walk into a known infestation situation. I feel it’s so unfair to invite a housesitter into that situation. In my current housesit (for a close friend) I have been dealing with some sort of mite situation, but I don’t feel so threatened by it as we are in close communication all the time, and it happened halfway through the housesit with a lot of rain and warmer weather. He is paying for overhanging tree lopping etc. Any advice for a written clause that covers this? Not seeing in any of the templates around, it just says “the homeowner agrees to leave the home relatively clean and habitable for the housesitter to come into.” I think I want something much more specific. Hmm…that’s a tough one. If I were in your shoes, perhaps I would ask some very pointed and specific questions of the homeowners as part of the due diligence/application process – like is there/have there been any problems with fleas, rodents, etc. If they say no, then perhaps relay your experience to them and state that if you get there and discover an issue, it’s a dealbreaker. Then, you can write something to this effect into the agreement. I once did a house-sit where the dog had fleas, and the owner had no idea. Because it was impossible to tell if the fleas were pre-existing or not, and because the owner was horrified that I had to deal with it and very accommodating in helping me get the required medicines, I just dealt with it. In my experience, when house-sitting, it’s very important to put yourself in the homeowner’s shoes and ask yourself what you would like or expect of your house-sitter. Hopefully, the homeowner is empathetic enough to do the same! If someone wants to travel ~ just house sit. However, if you are in it for the love of the animals ~ then pet sit. (And only if you’re going to be there for the animal & are prepared for all situations). I’ve heard too many stories of people who do next to nothing for the animals. Great advice! I think there are people who view house/pet-sitting as free accommodation and aren’t prepared for the responsibility. I recently turned down two house-sitting gigs for precisely that reason; while both were in great locations, the specific requirements to care for the pets would have severely restricted my ability to get around and actually enjoy the destinations in the way I would have liked. Sometimes, it’s just better to pay for accommodation and not be beholden to anything. It’s all about what you want out of your trip. I’m currently on #7 house sit. Unfortunately, it’s the first time we’ve had an issue. Host is arriving back earlier so we decided that we might vacate early. We sent WhatsApp message and 2 emails to indicate our intention. No reply. We went ahead with booking other arrangement. Host finally contacts us, but too late. Host is angry that we are leaving early because she has work to do. She wants to pick up her car (which was originally offered to us because we should not leave the dog alone) to go to work but she wants us to stay as house sitters. However she wants to stop by and visit her treasured pets because she misses them. We didn’t feel that this was something we would be comfortable with for 5 more days. Now she is saying that we don’t care about pets and she should have chosen someone else. She says she is angry and wants us to talk on the phone. Over time we have begun to think that this person is too much to deal with. We have kept most communication via the house sitting website which I am glad about. It reflects our efforts to communicate in a positive manner. It’s a shame its turned out this way. We actually turned up to the house (me) a recent back injury, but felt obliged to honour our commitment. We may end up with negative feedback due to this hosts personality. Too bad you had a bad experience! (But great that your first 6 housesits were fabulous). I had a situation where the homeowners decided to return a few weeks early, and it wreaked havoc with my own travel plans. Another situation where the homeowner wouldn’t commit to a return date, and (like you), when I eventually made my own onward travel plans, she didn’t like it. It’s so hurtful at the end of the day when the homeowner does something like accusing house-sitters of not caring about the pets, when in the end, we as house-sitters turn our own lives upside down to care for these pets! Sure, we have free accommodation – but let’s get it right, it’s a STEAL for the homeowner not to have to kennel their animals, and even more so when some homeowners insist on being with the animals to such a degree that we can’t even enjoy the destination at hand (eg: must be with the pets 24-7). I accepted a 6 week housesit in rural Ireland at a very remote location through friends of friends. I actually visited the house briefly before I was even offered the position. I knew they had 2 dogs and some additional animals but didn’t ask enough questions. One of the dogs is epileptic and blind, the other dog is very anxious and high strung and cannot be left alone. There are goats, chickens and cats. The weather has been bad, gale force winds and rain for the past week. I have 19 more days before anther housesitter comes to take over, as was previously planned. I can’t wait to get out of here. It’s in a very remote location, which I will never think of as a possibility again. I have done over 10 other housesits in both the US , Canada and Europe. Now I know my limits as a single 65 year old retired teacher. Lesson learned…ask LOTS of questions even if you think you know the home owners well!!! Sorry you had to learn this the hard way, but hey – now you know what you will and won’t accept in a house-sit! To be honest, I think that we all have to endure one or two difficult gigs like this to help us determine our limits. Don't subscribe All Replies to my comments Notify me of followup comments via e-mail. 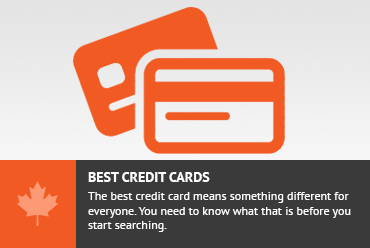 You can also <a href='https://www.creditwalk.ca/comment-subscriptions/?srp=4128&srk=2648578ecea05c83754707575dc5a494&sra=s&srsrc=f'>subscribe</a> without commenting.